Who doesn’t want to find the cheapest airline ticket to save money on travel expenses? But people usually don’t think about cutting down on the money they will spend at the airport. 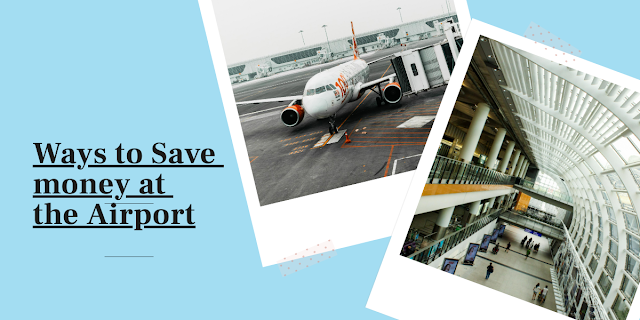 We have compiled few tips and tricks to save you money on travelling to and from the airport or for short, moderate or long layovers. Some of these tips need advance planning and others are opportunistic in nature. So let’s get started to help you save money on your next visit. Look for a long term car parking available at the best rate if you are planning to drive for the airport. You should start your search with the airport’s website that offers all the details on surrounding parking lots. It is recommended to book airport transfer rather than public transport when travelling with a group of friends, disabled person or small children. Private cars are spacious and also comes with a special wheelchair and child seat when requested. Plus, there are companies that offer airport transfers chauffeur service Wimbledon and other places at a competitive rate. This way you can also save on car parking and cut down on time and stress. There are chances that you have to finish some work or make some holiday booking before reaching your destination. For these purposes, you might want to browse the web until the time you are waiting for the flight. Many airports offer free WiFi to which travellers can connect to. Some airports will ask you for some basic details to connect while a few others will offer it for free. There are a few airports that offer free WiFi for 15 minutes. So if you had flown before, you might know how inflated airport food prices are. Bringing your own food can save you a lot of cash. Additionally, nobody wants to eat a lot of food sitting at the airport anyway. This is a perfect option for people who are with dietary restrictions and doesn’t want to take any risk while travelling. Bringing a water bottle with the filter will come in handy. Rather than buying an expensive bottle to quench your thirst, you can bring a bottle and refill it whenever you need. A bottle with the filter will also wash out any nasty pathogens floating around the water supply. Don’t visit airport store unless you have something particular in your head that you want to buy. Most people end up spending money on things that they don’t need when walking through these shop. There are chances that you might find these things at a cheaper price online so avoid breaking your fund. You need to limit your interest to items which you definitely plan to use at home or trip or are not likely to find them in your hometown. This is really simple; just make sure to pack your Kindle, phone, iPad, book, iPod, laptop or whatever kind of entertainment you want. This way you can keep yourself busy when you are travelling with a budget airline that might not offer complimentary entertainment onboard. You should have a printed copy of your boarding pass as not all airlines accept mobile boarding passes. Some budget airlines like Ryanair in Europe charges you a fee for boarding pass reissue at the time of check-in. This can easily add up to unnecessary expense. It’s advisable to check the baggage restrictions and requirements of your airline with the size and weight of your bag before travelling. You may end up paying excess baggage fees if the bags are too heavy. If you have lengthy stopovers in your journey, staying and spending money at the airport doesn’t make sense. You should rather look for an airport that provides a free city tour to make the most of your transit destination and avoid spending extra. The idea of buying a lounge pass may seem contrary to saving money at the airport, but purchasing it can save you money overall. There are some airlines that offer passes just for a small amount of fee. Buying a pass could save you money that you would possibly spend on food and booze at the airport. Before booking your lounge pass, find out about the amenities and benefits of the lounge and read about the reviews. A mobile app is also available to book your lounge pass if you are on the go. Following the above-discussed tips will help you spend just a small fraction of your money at the airport. Irrespective of your layover time, it’s usually better to spend it outside the airport as the more time you will spend inside, the more you will need to trim on non-airport expenditures.